The T118M variant of the PMP22 gene can cause painful peripheral neuropathy in people with Charcot-Marie-Tooth disease (CMT), a case report shows. The case study, “T118M Variant of PMP22 Gene Presents with Painful Peripheral Neuropathy and Varying Charcot-Marie-Tooth Features: A Case Series and Review of the Literature,” was published in Case Reports in Genetics. The PMP22 gene provides instructions to make the peripheral myelin protein 22 (PMP22). This protein is one of the components of myelin, the fatty substance that insulates nerve fibers, such as those found in the peripheral nervous system — the network of nerves that connects the brain and spinal cord to muscles and sensory cells that detect sensations such as touch, pain, heat, and sound. 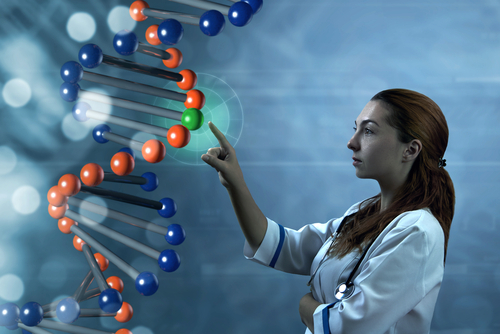 Missense mutations in PMP22 have been linked to different types of peripheral neuropathies (nerve diseases), including CMT and hereditary neuropathy with liability to pressure palsies (HNPP). Missense mutations are single nucleotide mutations that alter protein composition. Previous studies have linked a missense mutation at codon 118 (T118M) in PMP22 to familial neuropathy. A codon is a sequence of three nucleotides that encodes an amino acid to make a protein. 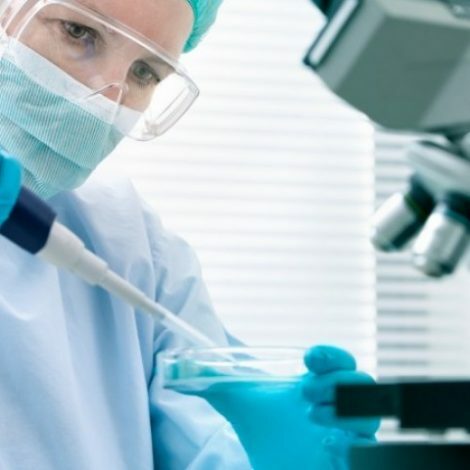 “However, the clinical relevance of the T118M variant of the PMP22 gene has been controversial,” the investigators stated. In this report, a team of scientists from the University of Florida described the cases of three patients that support the idea that T118M partially compromises the activity of PMP22, rather than being a benign mutation. All three patients were unrelated and carried one copy of PMP22 with the T118M mutation. The first patient was a 64-year-old man describing a painful burning sensation in his feet, legs, and hips, who received a CMT score of 8/28 upon examination. The second patient was a 73-year-old man who also described a burning sensation in his feet and aching pain in his legs and received a CMT score of 6/28. The third patient was a 56-year-old man with a medical history of Sjögren’s syndrome and rheumatoid arthritis who complained of severe burning pain in his hands and feet and received a CMT score of 2/28. Further analysis revealed signs of moderate peripheral neuropathy in the first patient and minor disease features in the other two patients. “In this case series, we demonstrated that patients with the T118M variant of the PMP22 gene can present with peripheral neuropathic pain and varying features of CMT,” the researchers said. “This study supports the notion that the T118M variant of the PMP22 gene can be a partial loss of function variant to possibly lead to a disease state marked by painful peripheral neuropathy and certain CMT features, [which was also backed up by previous studies described in our literature review],” they stated. Tagged case report study, missense mutation, Peripheral Neuropathy, PMP22 gene, T118M. Hello. I, along with two of my sisters, have been diagnosed with HNPP. Could you please tell me if, HNPP is the same as CMT? I know that the difference is HNPP has a deleted gene and CMT has an extra gene but is there any other differences. You are absolutely right. Genetically both disorders are caused by opposite defects, but regarding symptoms they are very much alike. Although, from what I gathered, HNPP is usually milder than CMT. Burning pain for almost 25 years, CMT 2A2 with PMP22 gene – female 76. I had a specialist in genetic science , that said to me I have never seen anyone with pain like me that has CMT1A . he did not believe I have Pain . he is, of course, Arrogant! I wish I have no pain .